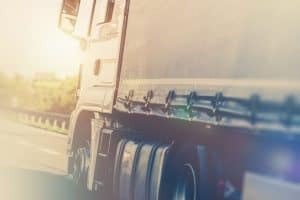 Truck Side Guard Bill Introduced After Fatal Crashes | Larson Law Firm P.C. In July of 2017, two cars slid under a jackknifed tractor-trailer in New York, killing all four occupants. A truck driver had swerved to avoid a deer and lost control of his rig, blocking both lanes of traffic on the highway. Two vehicles collided with the truck, sliding underneath, which resulted in the deaths of the drivers and passengers. These types of truck accidents are called “underride crashes,” and are usually deadly and horrific. In most cases, the top of the vehicle is sheared off when it slides underneath the truck. About 4,000 people were killed in underride crashes between 1994 and 2014, and 1,530 of these were specifically side underride crashes like the one in New York. In December, Congress proposed a bill to safeguard drivers against underride crashes and hopefully prevent more tragedies. Under the legislation, trucks would be required to be equipped with side underride guards, as well as strengthen existing rear underride guards. The bipartisan bill is called the “Stop Underrides Act of 2017,” sponsored by Sen. Kirsten Gillibrand, D-N.Y. and Sen. Marco Rubio, R-Fla.
Underride guards are safety devices that cover the space between the undercarriage of a tractor-trailer and the road. In the event of an accident, these guards could prevent cars from sliding underneath—in the hopes of preventing the kind of crash that happened this past July. Although tractor-trailers have had rear underride guards since 1998, side underride guards are still not required safety features. The National Transportation Safety Board recommended side guards to the National Highway Traffic Safety Administration (NHTSA) in 2014, but it was a non-binding recommendation. The trucking industry has been slow to implement the guards, citing issues like safety concerns with the extra weight added to the trailer, cost of implementation, reduced fuel mileage, and if the guards themselves are actually safe in the event of an accident. One manufacturer’s panels, for example, weigh 800 pounds apiece and cost between $3,000 and $4,000 per panel. Truck accidents can cause catastrophic or fatal injuries. 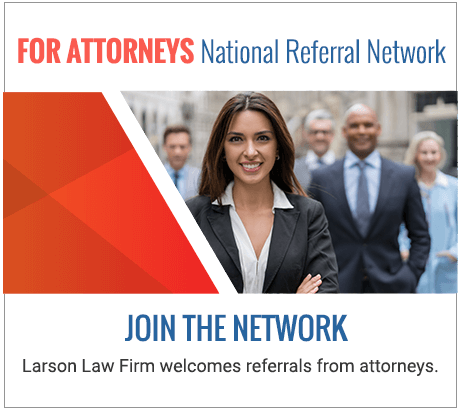 If you’re injured or a loved one is killed in a North Dakota truck accident, talk to the attorneys at Larson Law Firm, P.C. We’ll be your advocate and fight to get you the compensation you deserve. To schedule your free initial consultation with an attorney, call our Minot office at 701-484-HURT, or fill out our contact form.